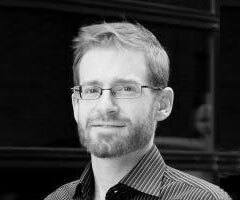 Jeremy Robin is an engineering executive who has spent more than 10 years building and managing software development, engineering operations, and support services for technology companies. Before coming to Talentpair, he was the co-founder and director of engineering at Hitpost, a mobile sports network which was acquired by Yahoo. He is an active participant in the Portland software development community and holds a BS in Computer Science from Dartmouth and an MS from Stanford. When he’s not at work or being a dad, he loves whitewater kayaking and playing bluegrass.